Happy and privileged to serve. I have been doing this all my 51 years of life - due to the prodding of friends to share my talents have just come out of the closet and am happy to serve. I have read privately for many celebrities and they are the ones who have actually coaxed me to come out of the closet with my talents. You can read more if you wish check out my Blog here on KEEN. The Best line in a movie EVER, is from "Far and Away". Tom Cruise's father comes back from the dead for a few moments to give him one last message - to which Cruise replies, "You came back to life to tell me I'm ODD?" Born of a Rusnak Rom Gypsy Mother - rolled right out of the Wagon, i learned metaphysical arts from lifes beginning. My college education also included undergrad work in Psychology, Child development and Family Relations. Raised working with horses in my fathers business....had to learn to communicate with a whole 'nother species and gave birth to two autistic children out of four, who again, not communicating on normal levels, further developed my already naturally heightened senses and ability to reach into spiritual awareness that most would not have to nurture. I, also, volunteer helping find cold case missing persons through the CUE Missing persons center using a Psi Tecnique called "Remote Viewing" with which the Military and CIA also employed during the 80's and 90's known as the "Star Gate" project. You can find out more about RV by googling Major Ed Dames or Dale Graff of Stanford University. I've been doing this for a lifetime but this is my first foray into assisting folks via phone. Thank you, kindly, for spending the time to read some of my humble life and I would be happy to connect and serve in anyway I possibly am able. If you would please, do leave feedback, it's always welcome and I love hearing your thoughts. ** Please Note: Some ratings are based on crank callers, usually others who work within Keen looking to sabotage or divert very accurate readers from gaining new clientelle, particularly in this very competitive economy. Almost all sincere, honest readers have experienced them. As soon as they are identified we block them, but some slip through the cracks. They know the way the Keen system works so create their ratings and remarks in a way that we can not get them removed. When considering your choice with any reader, trust your heart and spirit, it will always tell you truth. Happy Regards & Create a wonderful life! Psi-Bunny has been a user of Keen since 2006. 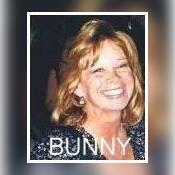 Getting Love & Relationships advice from Psi-Bunny through www.keen.com is safe, secure and confidential.